The stopwatch allows you to measure time without starting an exercise. 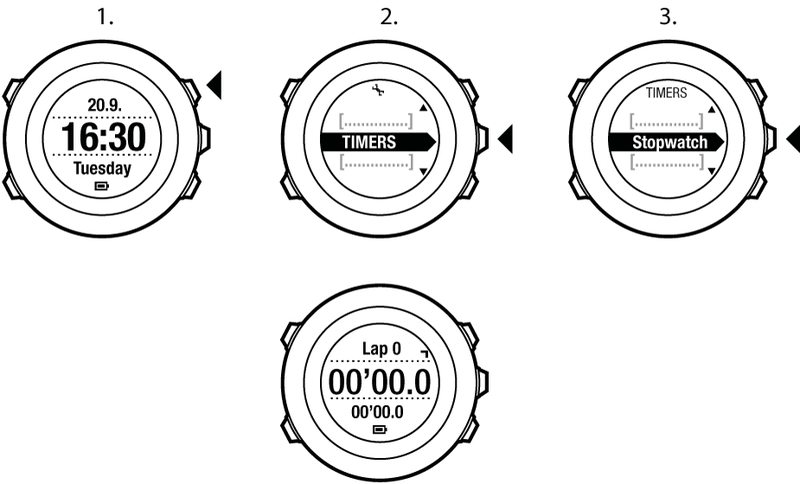 After you have activated the stopwatch, it is shown as an additional display in Time mode. Press Start Stop to enter the start menu. Scroll to Timers with Light Lock and enter with Next. Press Next to select Stopwatch.